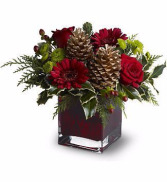 A red cube vase with roses and gerbera daisies with pine cones. 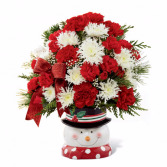 Ceramic snowman (Beautiful keepsake) filled with Christmas greens,red or burgundy mini carnations, red or burgundy regular carnations white cushions, white filler. 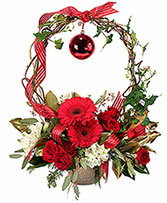 with shiny red bow. 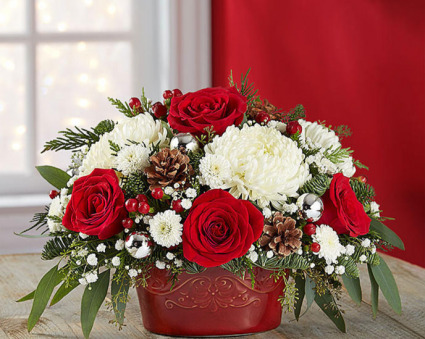 with deluxe and premium size will add red roses.